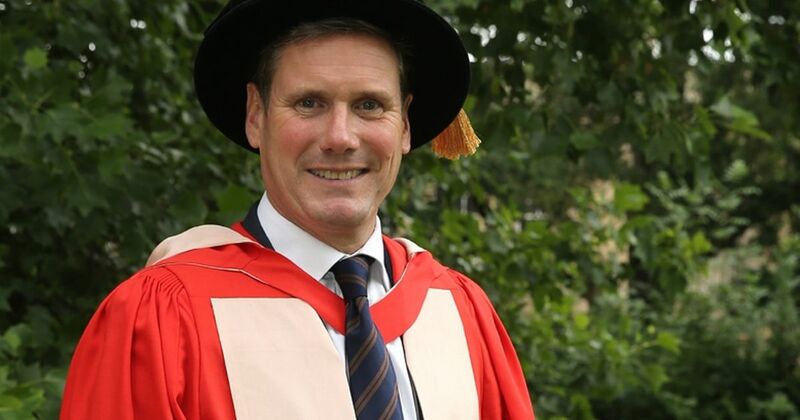 Labour MP, Sir Keir Starmer, has claimed that "terrorists and paedophiles will rejoice" if the UK leaves the EU. Starmer tries to make political capital out of the terrorist attacks on Belgium made possible by the EU's open borders and immigration policies by claiming that we need to be in the EU to prevent such terrorist attacks happening in the UK. He cites Europol as an example of the kind of cross-border working that we have to be in the EU to benefit from but strangely doesn't mention Interpol which has nothing to do with the EU but performs the same role in almost every country and territory in the world without the need for a political union. As the EU referendum gets closer and Cameron's renegotiation get weaker the remainers will get more and more desperate and their claims will get even more outrageous. When we get within a few weeks of the referendum you can expect mocked up pictures of Nazis marching in the streets, terrorists bombing schools, boarded up high streets and other imagery to support their scaremongering.